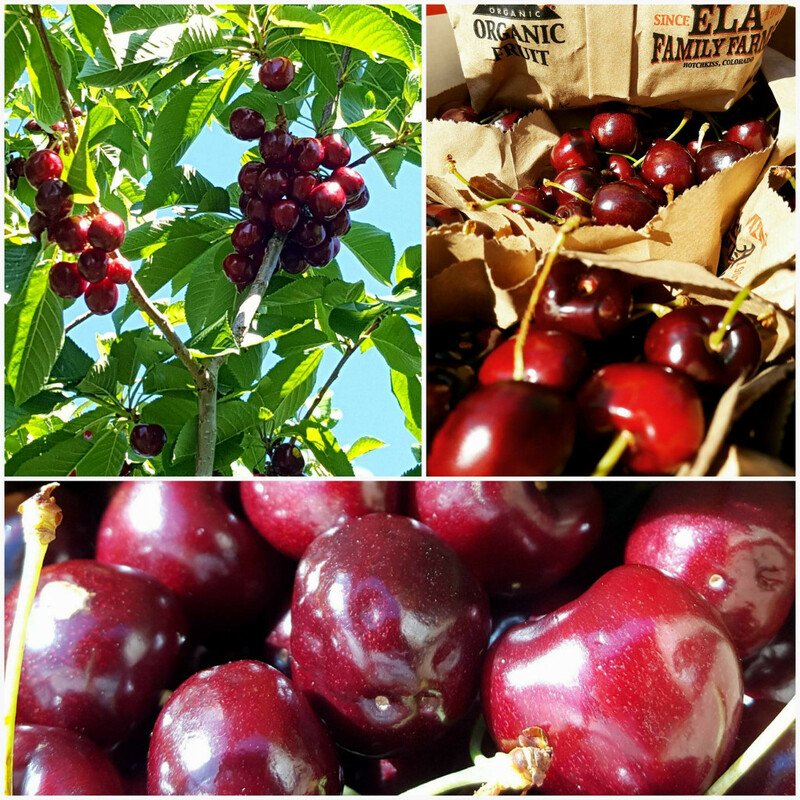 At Ela Family Farms, we grow sweet cherry varieties. Unlike tart cherries which are best for jams or pies, ours are delicious when eaten fresh. Try one when you get home from the market; you’ll see what we mean! Cherries are ripe when their stems are slightly green, with plump, not shriveled skins. When the stems are fully brown, cherries should be eaten right away for optimum taste and texture. To store, leave the stems on and place them in an unsealed bag or container in the refrigerator. Wash, stem and pit before eating. Should you decide to freeze cherries, refer to this helpful guide from the Universityof Georgia Cooperative Extension Service: http://nchfp.uga.edu/publications/uga/uga_freeze_fruit.pdf. For canning instructions, please follow this link to the Colorado State University Extension: www.ext.colostate.edu/pubs/foodnut/09347.html.